"A crime is no fun without riddles. I'll have you know that's the main reason I took up this crime game. "Of all the dastardly villains that have taken on the caped crusaders none is more clever than the Riddler. He spends a great deal of this time crafting the perfect riddles to give Batman and Robin before he completes his crime. 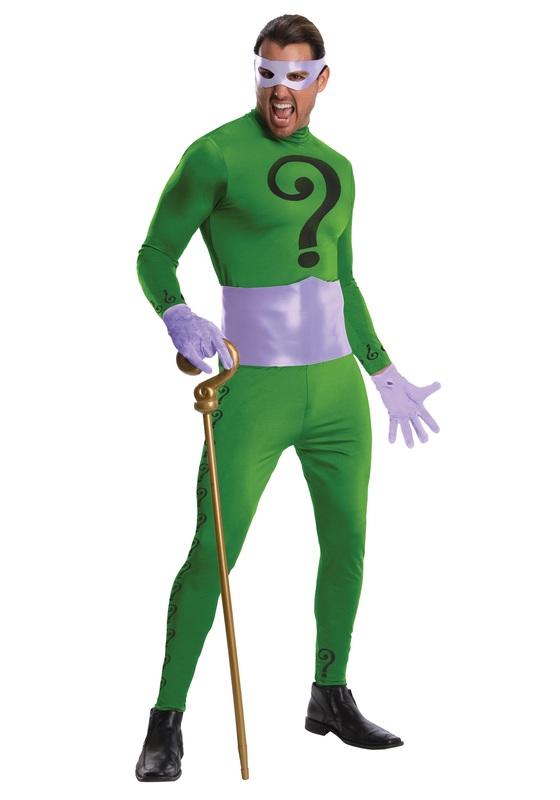 Now you'll have a chance to pull a fast one on the dark knight and this fateful ward when you wear this Riddler costume straight out of the '60s TV show. Just be sure you have a few riddles of your own to impress the citizens of Gotham with.